When asked whether he expected to survive the Blue House raid, Kim replied plainly. “I believed I would be killed and yet I came down.” Nor was Pyongyang especially eager to get its people back once they were captured. Diplomats assessed the chances that North Korea would be willing to trade the crew of the Pueblo for captured North Korean agents as “remote” since Pyongyang valued its American quarry higher than its own guerrillas. Thirty-one shadows crept up to the fence in the cold winter night, cut it and slipped through, walking into the American side of the demilitarized zone that buffers North and South Korea. It was January 1968 and the North Korean special operations troops were headed south. The men were from the 124th Army Unit, an elite military organization charged with carrying out guerilla operations against the North’s sworn enemies to the south. The 124th’s attempt to assassinate South Korean dictator Park Chung-hee would be the most dramatic act in Kim’s roughly three year campaign to make good on the pledge to be thorn in the side of the United States and its allies. Since the fall of 1966, he had unleashed a campaign of guerrilla warfare and subversion aimed at trying to sow chaos within the South Korean interior. The raiders would bring that war right to Park’s doorstep, but no farther. The failed attempt would prove the high water mark of Kim’s campaign, after which the hopes of a popular uprising would fade. Once through the fence, the raiders from the 124th found themselves in a section of the DMZ patrolled by American troops from the 2nd Infantry Division. North Korea had used the warm weather infiltration seasons of 1967 to launch a series attacks along the 38th parallel. In May, satchel charges planted by operatives from the North had ripped through a 2nd Infantry Division barracks, killing two American soldiers. By the end of the year, North Korean attacks would claim the lives of 16 members of the division. After two days in the DMZ, the raiding party came across four woodcutters. The encounter was a threat to the mission — South Korean citizens often informed on suspected infiltrators. But it was January and digging graves to bury the men in the frozen earth would’ve been difficult and time-consuming. Their families might notice the woodcutters’ absence and call the police. The soldiers instead grabbed the men and conducted an impromptu propaganda session, inveighing against Park and the United States and promising that unification at the hands of the great Democratic People’s Republic of Korea would soon be at hand. Before leaving, they warned the woodcutters not to tell anyone about their meeting. Nonetheless, the civilians quickly told South Korean police what they had seen, kicking off a manhunt to find the team. As South Korean police searched for a team of North Korean guerillas, the soldiers from the 124th entered Seoul, dropped their coveralls leaving them dress in South Korean military uniforms for the final leg of their mission. As the soldiers approached within 800 meters of the presidential residence, a policemen challenged them. When their cover story fell apart, they opened fire — and all Hell broke loose. Two members of the raiding party were killed in the initial confrontation and over the next few days, all but two more of the rest of the teams would be wiped out as they fled, either killing themselves with grenades to avoid capture or dying at the hands of the South Korean and American security forces pursuing them. One of the survivors made it back to North Korea, where he’s now a general in the Korean People’s Army. The other, Kim Shin-jo, was captured by South Korean forces. Kim had fled up Iwang Mountain as he was chased by South Korean soldiers, dropping all of his weapons except for a single grenade kept to finish himself off at the last moment. Kim later claimed that a last second “desire to live” saved him from suicide once he was surrounded by 20 South Korean troops. His last grenade, however, was defective, leading some to doubt the story. Decades later, he would receive a pardon from the South Korean government and a job as a human rights advisor to South Korea’s Grand National Party. Today, he’s a Presbyterian minister in a large congregation near the capital city he once stormed. The raid targeting Park came as a terrible shock to South Korean society, but the idea of an assassination attempt wasn’t completely out of the blue, at least not to the CIA. The Agency had picked up hints about North Korean assassination plots at least six months prior to the Blue House raid. Vice Pres. Hubert Humphrey was scheduled to attend Park’s inauguration in July of 1967 and the CIA passed them along in an assessment of security conditions in the ROK written in advance of the trip. But there was another shock to come. Two days after the Blue House raid, North Korea seized the USS Pueblo, a U.S. Navy spy ship listening to communications off the eastern coast of the Korean peninsula. North Korea killed one member of Pueblo’s crew in the incident and took the remaining 82 back to North Korea where they’d stay for a year until negotiations between the U.S. and Pyongyang led to their release. Park was furious. For over a year, the North had been kidnapping South Korean fishermen, had sunk a ROK navy ship in 1967 trying to protect them and was still killing U.S. and South Korean troops along the DMZ. In his mind, the wave of violence was the opening act for another Korean War. Three days after the raid, U.S. Navy rear admiral John Smith of the Military Armistice Commission, the mechanism set up to oversee the armistice at the end of the Korean War, held a meeting with his North Korean MAC counterpart, Gen. Pak Chang Kuk, to protest the North Korean attacks and demand an end to the provocations and the return of the Pueblo crew. Smith flopped down a map showing the route of the Blue House raiders into the ROK as well as photographs of their corpses and the weapons they used in order to prove Pyongyang’s complicity in the assassination attempt. If the North Koreans were intimidated by the gesture, they certainly didn’t show it. A subsequent State Department summary of the meeting noted that the North Korean side seemed downright and openly laughed at Smith’s demands. In the meantime, there was the threat of further guerrilla activity from North Korean commandos. In his February meeting with Vance, Park said South Korean intelligence now knew that the 124th was divided into 80 or 90 teams of 30 and he worried that they could target South Korean airfields, dams and factories. Details about the 124th Army Unit from Kim Shin-jo offered a glimpse of the North Korean special operations outfit that now had the ROK in its crosshairs. Prior to entering the 124th Army Unit, Kim had been a Korean Workers’ Party member and his parents were still alive and living in the North along with his three sisters. He had served in the KPA and was selected for service in the 124th. It was an elite outfit and only those with “very excellent records in the armed services, in addition to mighty physical strength” were chosen to join, he said. Once in the unit, troops were given heavy instruction in jiu-jitsu, boxing and marksmanship. 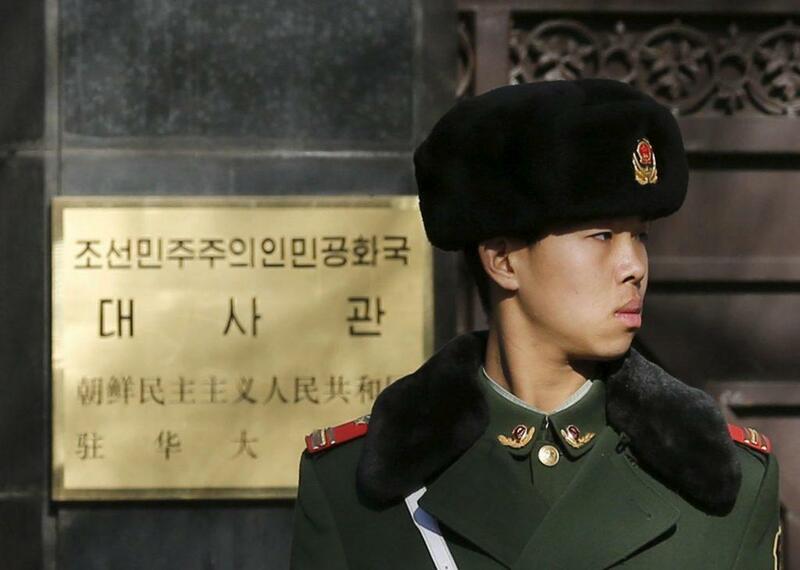 Life could be rough for North Korean agents and commandos headed to South. The missions behind enemy lines were risky and by late 1967 South Korea had already killed 130 infiltrators and captured 43. Nor was Pyongyang especially eager to get its people back once they were captured. Diplomats assessed the chances that North Korea would be willing to trade the crew of the Pueblo for captured North Korean agents as “remote” since Pyongyang valued its American quarry higher than its own guerrillas. Moreover, North Korean propaganda disclaimed any association with the soldiers and spies it sent to the ROK, preferring instead to pretend they were part of an organic uprising against the Park dictatorship. Negotiating for the return of captured infiltrators would be amount to an implicit admission of guilt an invalidate Pyongyang’s propaganda line. The odds against the political mission of the 124th were also daunting. Kim told reporters he thought “some [South Koreans] would agree with our mission and aid us” but the woodcutters’ reflected the suspicion and hostility that most people in the ROK showed towards the infiltrators. North Korea had ill-prepared its troops for life beyond the DMZ, perhaps a reflection of Pyongyang’s own miscalculation about the broader viability of its guerilla campaign. Kim said he never expected that the Blue House raid would spark another full-scale war on the Korean peninsula but he did think it would drive a wedge between the U.S. and its South Korean allies and prompt an uprising in the ROK. This first appeared in WarIsBoring and then on National Interest blog. 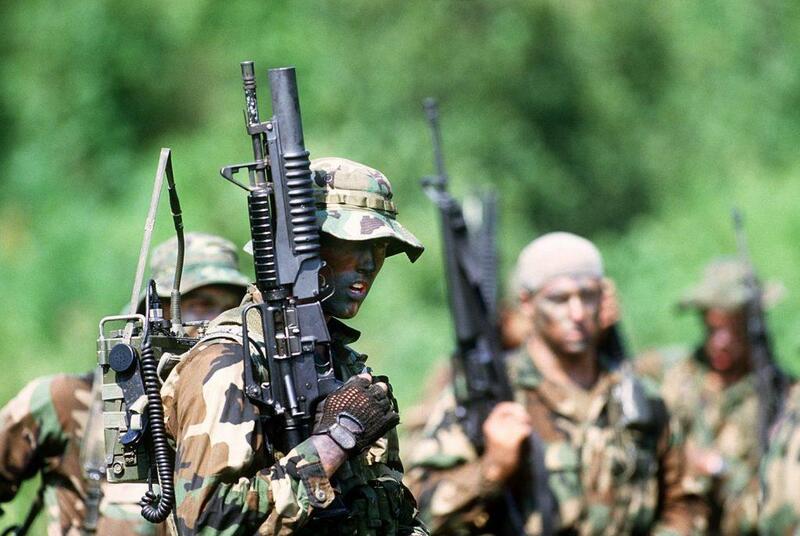 Today’s Navy SEALs (for Sea, Air, and Land special warfare experts) have a history shrouded in secrecy. Commissioned in 1962, they are the most elite shore-area Special Forces in the world, concentrating on very select and often-clandestine intelligence gathering and precision strike missions. The S&R teams continued to get a broadening range of assignments. They trained French Commandos for amphibious landings on Elba, Italy, scouted potential beaches for landing sites, and escorted the landing parties ashore. They conducted night operations on the Yugoslav Adriatic coast to rescue airmen who had been assisted by partisans in evading the Germans. Another mission was landing a force of commandos and partisans, plus a contingent of Office of Strategic Services (OSS) Special Reconnaissance personnel, on the island of Solta, Yugoslavia. Today’s Navy SEALs (for Sea, Air, and Land special warfare experts) have a history shrouded in secrecy. Commissioned in 1962, they are the most elite shore-area Special Forces in the world, concentrating on very select and often-clandestine intelligence gathering and precision strike missions. For over 50 years it was assumed that the origin of the Navy SEALs was the Naval Combat Demolition Units (NCDUs) and Underwater Demolition Teams (UDTs) of World War II. In reality, the Navy’s special warfare activity started in August 1942 with the Amphibious Scouts and Raiders. As their experience improved and landings seemed achievable, planners realized that for amphibious warfare to be successful, attackers would need all possible information about the beach-landing objectives, submerged obstacles, hydrographic, and the regions just inland from the beaches. An Intelligence Section set up under the JTF was given the job of developing an amphibious reconnaissance capability, with its first mission to be in North Africa. The Navy then set up an advanced S&R training base at Port aux Poules, Tunisia, with the Army and Navy Torch veterans and others from Ft. Pierce. One group decamped in Malta to train with the British 4 Commando and other Allied counterpart units, working on night exercises, launching kayaks from the decks of submarines and paddling them in to reconnoiter target beaches. At Port aux Poules the S&Rs trained with the 1st and 4th Darby’s Ranger Battalions. There and at Bizerte, Tunisia, they improved their beach reconnaissance effectiveness and began using swimmer Scouts. These wound up guiding Darby’s Ranger Battalions into landings at Gela and Licata on Sicily. Following successful landings at Salerno, the S&Rs moved up the boot of Italy with the Allied forces for the next objective at Anzio. Advance intelligence data from aerial photos and submarine periscope observations were good, but more detailed data was needed to verify the information concerning probable shoals and sandbars. S&Rs used PT boats and kayaks to check them out. Three weeks later they successfully guided Army Rangers ashore. Since late 1943, the Allied amphibious forces had been gearing up for Operation Overlord, the invasion at Normandy. Sixteen Amphibious Bases and Landing Craft & Repair Bases were set up along England’s southern coast. In December 1943, several S&R officers, including Lieutentant Phil Bucklew, one of the first 10 volunteers for Scouts and Raiders training at Little Creek, arrived at Falmouth to begin planning for reconnaissance of the Normandy landing sites. At the Advanced Amphibious Training Base at Fowey, England, the S&R crews were called on to help train NCDUs in underwater obstacle location and to work with heavy demolitions to blow up the replicas of beach obstacles used by the Germans. The first critical task undertaken by the S&R team was to cross the Channel and clandestinely obtain samples of sand from the proposed landing beaches. The rise and fall of the tide there created up to a hundred feet in width of loose bottom at low tide. Analyzed samples would determine if matting or other materials would be required for getting tanks and other heavy vehicles onto the beaches. A number of these crossings were made, often taking heavy fire from shore. Arriving in small landing craft or kayaks, the teams sometimes lay in the water in the surf, timing the German sentries along the beach, so they could crawl ashore to complete their tasks. On June 5, Scout boats were the first to be launched across the Channel. They navigated to locations a few hundred yards offshore to guide the first waves of the landing forces. NCDUs went in to clear obstacles. The S&R scout boats were now equipped with .50-caliber machine guns mounted amidships, giving them an opportunity to cover the shorelines as the landings began. The NCDUs took heavy casualties before they could clear the obstacles. The scout boats shuttled back and forth, under heavy fire, trying to rescue the survivors. The next big landing, named Anvil-Dragoon, was planned in southern France for August 15. As with previous operations, this one expanded the S&R experience and applications. S&Rs trained and escorted Army Devil’s Brigade troops ashore at Levant and Port Cross Islands to take out German 6-inch gun batteries that commanded the Anvil-Dragoon beaches. S&Rs led several French commando forces ashore to block roads to and from the beaches. They then directed in the landing waves of the full beach assaults. Following Anvil-Dragoon, the Mediterranean S&R crews were ordered back to ATB Ft. Pierce, some to be reassigned to the Far East. In April 1944 a new “Transport Doctrine, Amphibious Forces, U.S. Pacific Fleet” called for 125 officers and reduced crews to fulfill a Transport Scout Intelligence function. This changed the S&R crew’s roles from the European operations of scout boat functions. Classes #6 through #8 trained officers and men for the new mission. Class #8 was all officers, one of which was Ensign Richard Lyon who, after his service with the S&Rs in WWII, went on to become Rear Admiral Lyon, the first designated Special Warfare flag officer (Admiral, SEAL Teams) in U.S. history. The Class #8 graduates were sent to Advanced Naval Intelligence School in New York City, then to the Amphibious Training Base in Coronado, Calif., for further demolitions training. But with the changing plans of war, the intended use of these S&R Officers did not reach fruition. The November 1943 landing on the island of Tarawa in the Pacific had grimly illustrated the need for pre-assault reconnaissance. Marines landing on the atoll were either drowned or made easy targets for the Japanese when their landing craft hit hidden reefs. Planners recommended to the Chief of Naval Operations that Underwater Demolition Teams be formed permanently, with six teams assigned to the Central Pacific and three to the South Pacific, and that a training location is established in Hawaii. Initially, this meant combining the existing, smaller Naval Combat Demolition Units. The Navy also tapped into the S&R resources. Beginning in November 1944, the majority of Class #6’s 25 officers joined the Underwater Demolition Teams and took further training at the Naval Combat Demolition Training and Experimental Base at Maui. UDT personnel were familiar with the S&Rs because of their similar work. Some of them had trained together at Ft. Pierce, and some had worked together before. Also, some existing S&R crews began functioning in parallel to the UDTs to accomplish the same beach demolition functions. In the southwest Pacific, meanwhile, MacArthur’s forces had been carrying out amphibious assaults, including the landing in New Guinea in September 1943 by the 9th Australian Division. The 9th had established a new unit, the top-secret Amphibious Scouts, for advanced intelligence gathering. It included various services volunteers as well as Australian Coast Watchers. It was, in every respect except in name, Scouts and Raiders. In fact, when the original members of this group returned to the States, trained S&R personnel replaced them. For landings at the heavily mined Leyte Gulf, Philippines, Scout officers sneaked ashore to set up navigation lights, first for guiding minesweepers several days before the landings and later for the actual landing craft. At Panay in the west-central Philippines, one Scout team went ashore from PT boats to do beach reconnaissance and depth soundings before the landings. Another Scout group prepared the way for landings on southern Luzon. This team went ashore to meet with an Army officer and a band of Filipino guerrillas. They gathered information on nine Japanese coastal defense guns, seven of which the Air Force was able to knock out before the landings. Okinawa was the largest amphibious undertaking in the Pacific theater and the toughest. S&Rs worked as and with UDTs, Scout Intelligence Officers, Beachmasters, and Control Officers. The S&Rs and UDTs were taken to within a thousand yards of the beaches, where they slipped into the water and swam shoreward to gather beach intelligence, often under enemy fire. They then swam back out and were picked up in the reverse procedure by the landing craft. This became the standard mode of advanced reconnaissance. The men then prepared maps of the shorelines and the reef floors, and then briefed the Amphibious Forces Intelligence staffs aboard ship. Returning later with the same “drop-and-pickup” methods, they blew up beach obstacles. On March 1, 1945 the Ft. Pierce school was renamed Amphibious Scout School. It also had a new challenge—to train men for a reshaped S&R role known as Amphibious Roger. The phrase came from the phrase “Jolly Roger,” a piratical term, the word Roger standing for “raider.” Amphibious Roger personnel were trained for guerrilla warfare and raiding operations in China. The training was essentially the basic S&R course, but with extra emphasis on demolition and inland reconnaissance. Added were classes in Chinese culture and language, and more hand-to-hand combat, judo, boxing, and wrestling as well as additional weapons and sabotage work. One of the key elements of the war in China was SACO, the Sino-American Cooperative Organization agreement signed by the Chinese and the United States on April 1, 1943. Under the terms of the Agreement, the United States was to train guerrillas, intelligence agents, weather groups, saboteurs, and raiding squads to set up weather, radio, and radio-intercept stations using American equipment and mostly Chinese personnel. The S&R coastal intelligence-gathering experience, which began in China with SACO in 1945, lent itself well to hydrographic and shoreline surveillance and mapping. But here, because of the high density of Japanese patrols and the safety concerns regarding submarine operations in uncharted waters, the missions were often conducted over land. A few S&R officers were pulled out of Class #6 in July 1944 and were sent to train Chinese guerrillas at a camp in Teng Feng, China. Others followed from Ft. Pierce and the Mediterranean. S&R officers staffed a number of SACO camps in interior China. They made reconnaissance missions to determine landing accessibility along the lower China coast. They also harassed and fought running battles with the Japanese. They rescued 20 downed pilots. In one mission, dubbed Operation Swordfish, an S&R team sunk a Japanese freighter in Amoy Harbor. They were so effective that at one time the Japanese offered a bounty of $1,000 in gold to any Chinese person who turned in an S&R. Amphibious Roger Class #4 was the last group to graduate from ATB Ft. Pierce. Class #5 began its training in June 1945. A contingent from that class had been taken to Ft. Bragg, NC, for airborne training, but the end of the war canceled it. The new training would have given the S&Rs a sea, air, and land capability. One of the members of that class was Rudolph E. Boesch, who went on to become the longest-serving enlisted man in the Navy at over 45 years, and the longest serving SEAL. At the time, there were over four hundred officers and enlisted men in Amphibious Roger duties. When WWII ended, many of the S&Rs who remained in the Navy were transferred back into the fleet. As the first Naval Special Warfare commandos, they had pioneered a wide range of tactics and techniques of amphibious reconnaissance and intelligence gathering. This knowledge, fortunately, was carried along to the UDTs serving in the Korean War, and later the UDTs and SEALS for other theaters of operation. In November 1985 the UDT-SEAL Museum was commissioned at Ft. Pierce to commemorate the many years of service of the frogmen and SEALs. As Navy files were declassified, and the background history of the UDT and SEALs was uncovered, the importance of the Scouts and Raiders to the heritage of Naval Special Warfare was realized. Although disbanded after the war, their lineal descendants, the U.S. Navy SEALs, and other special warfare personnel gathered at the Naval Amphibious Base Coronado, Calif., on January 21, 1987 to honor Captain Phil Bucklew, USNR Ret., a legendary Scout and Raider officer, by naming the Center for Naval Special Warfare after him. And in November 1989 the UDT-SEAL museum at Ft. Pierce chose to include the Scouts and Raiders as part of their Naval Special Warfare historical record. Bud Hyland is a former member of the Navy’s Underwater Demolition Team 12, and of the UDT-SEAL reserve. It was May 1940, and the British Forces fighting in France were retreating towards the coastline. The German Blitzkrieg seemed unstoppable as the country was slipping away to the Nazi occupation. German troops’ morale was getting higher by the day. It was evacuation time for the Allies, but one Englishman stood out proud and defiant. 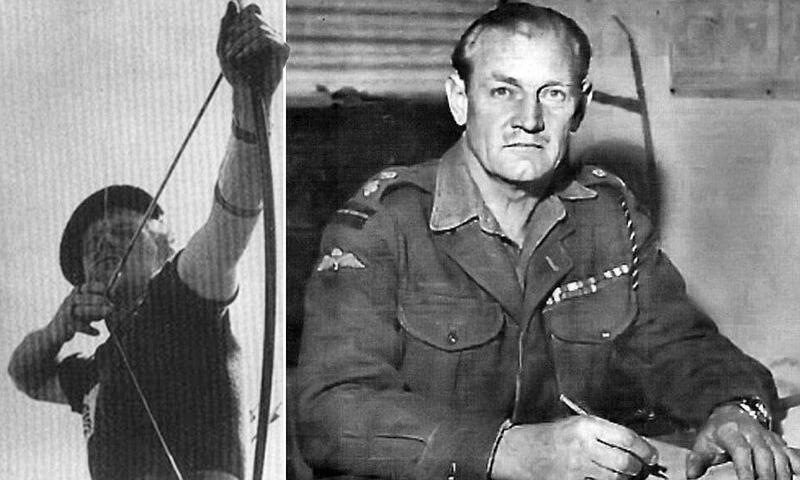 His name was Jack Churchill and what he did during the evacuations made history. But we’ll get to that. Jack Malcolm Thorpe Fleming Churchill was born in the British colony of Ceylon in 1906. When he was eleven years old, his family moved back to England. In 1926, Jack graduated from the Royal Military College and proceeded to serve with the Manchester Regiment in Burma. Ten years later, he left the army and moved to Kenya. At first, he worked as a newspaper editor, but that couldn’t quench his thirst for adventure for too long. Besides military action, he was passionate about motorbikes, bagpipes, and longbows. Thus, he appeared in two movies, where he played bagpipes and shot arrows. His passions grew over the years, and in 1938 he won the second place in a military piping competition, leaving many a Scot in awe. The next year, he was chosen to represent Britain at the World Archery Championship in Oslo. The German invasion of Poland offered Jack a chance to reconcile all of his passions. In 1939, he rejoined the army and was sent to France as part of the British Expeditionary Force. He probably looked a bit like a looney in the eyes of his comrades while carrying a massive broadsword and longbow into action. Once asked about his unusual trademark, he would reply that “any officer who goes into action without his sword is improperly dressed”. 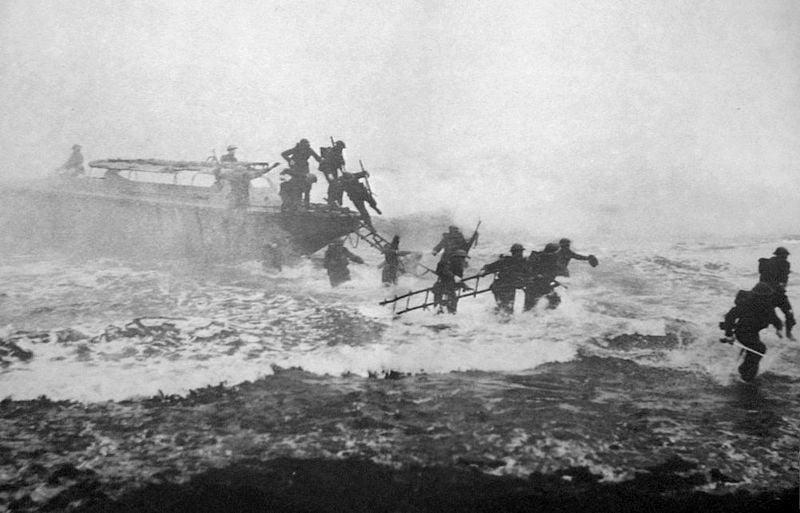 By May 1940, the Brits were retreating from France, but Jack Churchill moved in the opposite direction – attacking German positions and supply depots. After his company commander was wounded, he took over. At one point, his unit ensnared a German patrol and Churchill gave an unusual signal to attack. Standing on a tower, he shot the German sergeant right through his chest with a barbed arrow, which to this day remains the last instance of such a kill in combat. Well, it must have been the first in a very long time as well. The following year, he volunteered as part of the newly formed British Commandos and was sent to Norway as the leader of Number 2 Commando. In December, he led an assault on a German position by playing The March of the Cameron Men on his bagpipes and then charging with his sword in hand, yelling “Coooommmmaaaaannnnddddooooo”. Two hours later the Nazis surrendered. Churchill’s old school combat techniques stood out even more in Italy. One night in 1943, assisted by just one corporal, he captured 42 POWs, including a mortar squad, using only his sword. In 1944, the Commandos were helping Tito’s Partisans in Yugoslavia. In an unsuccessful attempt to take over the island of Brac, he was knocked unconscious by a German grenade, captured, and sent to the Sachsenhausen concentration camp. One night he managed to escape, but was caught and later transferred to Tyrol. As the war in the European Theatre was coming to an end, he was released. Immediately he headed off to fight in the Pacific, but by the time he got there the nuclear bombs put an end to the Japanese resistance. After WWII, ‘Mad Jack’, as he came to be known, fought in British Palestine. He later served as an instructor at the land-air warfare school in Australia, where he fell in love with surfing. Upon his return to the UK, he became the first man to ride the River Severn’s five-foot tidal bore. He even designed his own surfboard. 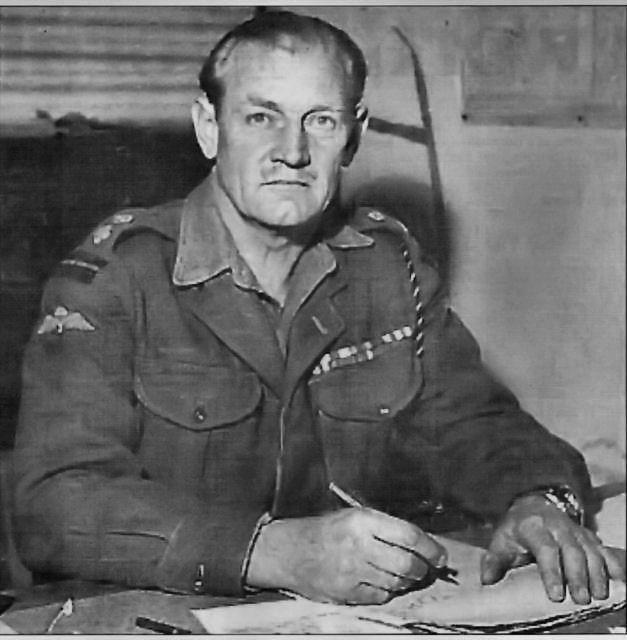 In 1959, Jack Churchill retired from the army, with two Distinguished Service Order medals and countless stories to tell. He passed away in 1996, but his extraordinary legacy lives to this day. In March 2014, the Royal Norwegian Explorers Club named him one of the finest explorers and adventurers of all time.